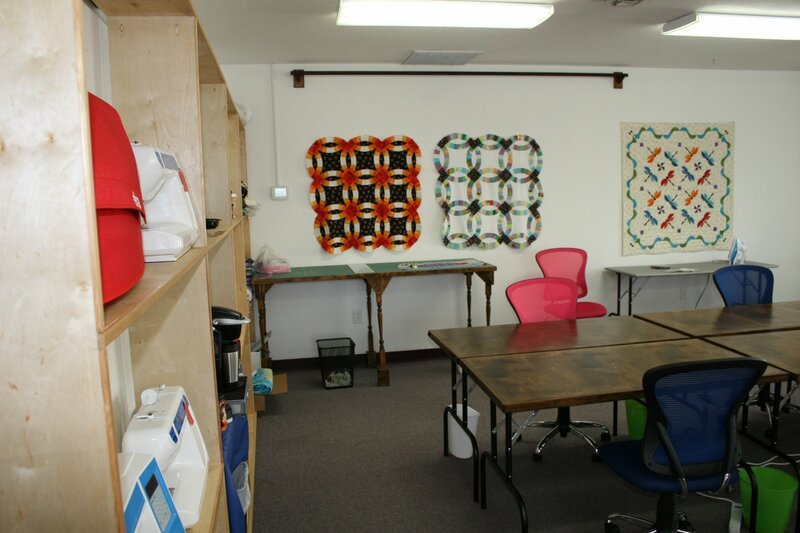 Welcome to Sew-Into-Quilts & Sew-Fix-It! Being in a small community we want to provide a place of creative encouragement by carrying as wide of variety of fabrics, notions and classes as we can. Your growth and enjoyment of quilting and the friendships created and nurtured in our shop is of the greatest importance to us. We are quilters who want to share our love of this timeless art with those both who live near us, those who visit our site and our on-line store. With "in shop" sewing machine services, you can rest assured that Jim will care for your machine with great attention to detail. He and Casey are also trained and use our Wollf Twice as Nice Sharpening system to sharpen Scissors, Shears and Pinking Shears at a reasonable price everyday we are open. 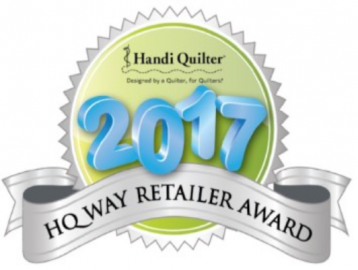 Sew-Into-Quilts is a 2017 and 2018 HQ Way Award winner for customer service. Authorized dealer for Handi Quilter. Now offering sales, service, and repair for all Handi Quilters. Call for more information. Come in today and try them out. Vicki Kerkvliet comes from a long line of quilters and began her own quilting journey in 2000 when she enrolled in a class. As an elementary school teacher she set the goal of piecing one quilt top a year in between her teaching responsibilities. 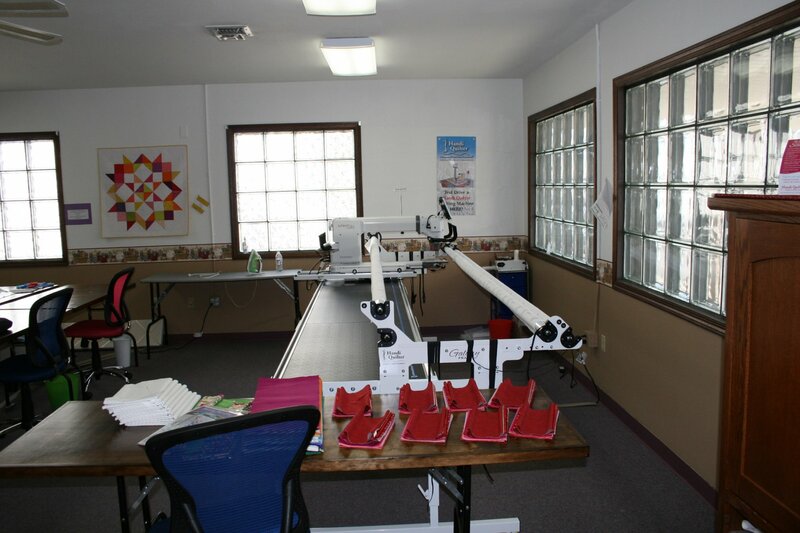 Vicki’s dream of owning a Longarm machine was realized in 2011 with the purchase of an HQ Avanté® with Pro-Stitcher®. She recently acquired an HQ Sweet Sixteen®. After 27 years in the elementary education profession, she joined the Handi Quilter education team and is thrilled to merge her love of teaching with her love of quilting in a new career path. She sets beginning quilters at ease and encourages experienced quilters to enjoy their quilting journey while exploring new options. 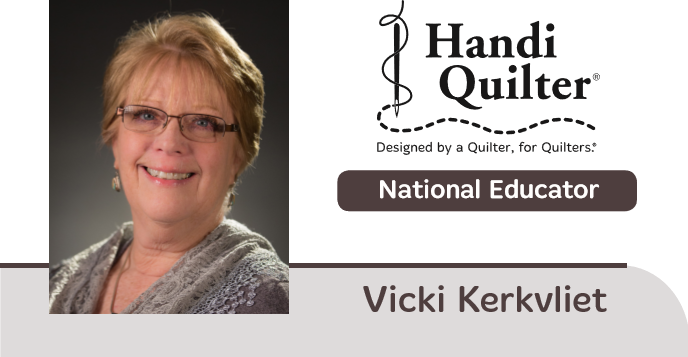 Vicki is a member of the Starlight Quilters Guild in Kansas City. She has two adult sons and enjoys traveling with her husband and granddaughter each summer to explore national parks. The Virtual tour is nothing like the experience of coming in and feeling the fabric! 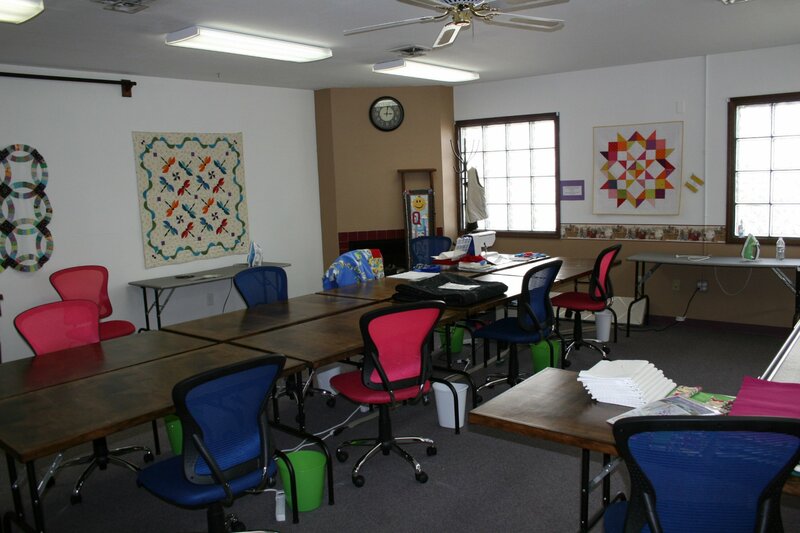 All of our classes and events are held in the spacious classroom. Come join us in our Big, Light and Bright classroom. Everyone gets their own space at the custom built tables and we have been told we have the most comfortable chairs around. There are 2 ironing tables and a raised cutting table with room for 2 or try out 1 of our machines. PS. The Kurig is always on or help yourself to filtered water. We do in shop Scissor and Pinking Shear sharping using the WOLLF twice as sharp system. Drop them off or wait while they are sharpened.